The Chartreuse Darter is a stunning and successful addition to the Darter series of damsel flies. This still water pattern is full of colour and tantalizing movement and works well close to banks and reed beds where the natural damsels are often found. Body : Straggle fritz, chartreuse or pale green. 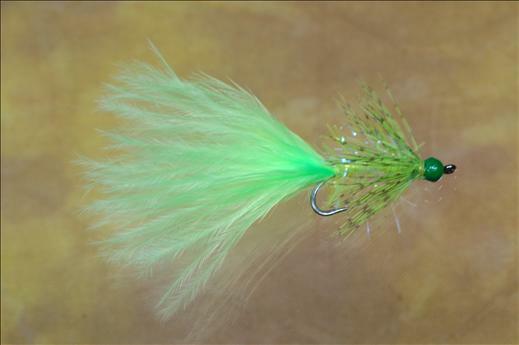 Hackle : Dyed green partridge hackle. Currently there are no comments about the Chartreuse Darter fly pattern from other fly fishermen yet.